Pain Relief is our focus here at Setter’s Health Centre Townsville! We are here to help you set up realistic goals for pain and symptom relief, how these fit into your life, and how to help you and your body to achieve realistic outcomes. 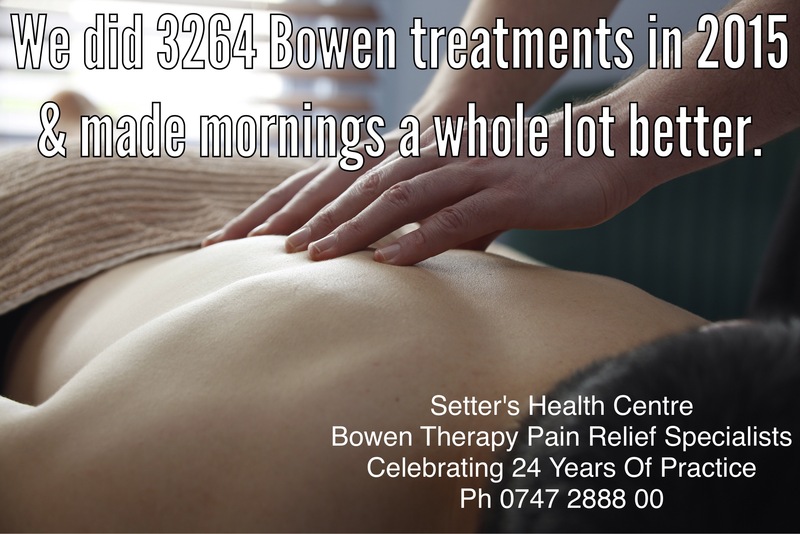 Pain Relief In Townsville with Setter’s Health Centre who are Specialists in Bowen Therapy for 24 years – Bowen Therapy is a versatile and dynamic way to assist people with pain relief!